Hi Forum Community – I hope this post finds everyone well! This post will be edited and expanded upon as time allows, as unfortunately I’ve been rather busy of late. However, this should not affect my entry into this year’s mod contest (minus this sparse post you are reading now) ! This will be my first time entering any sort of contest related to modding or pc building, I would say I’m both excited and slightly nervous of what to expect but I will do my best to not let it deter me from trying to make something awesome. 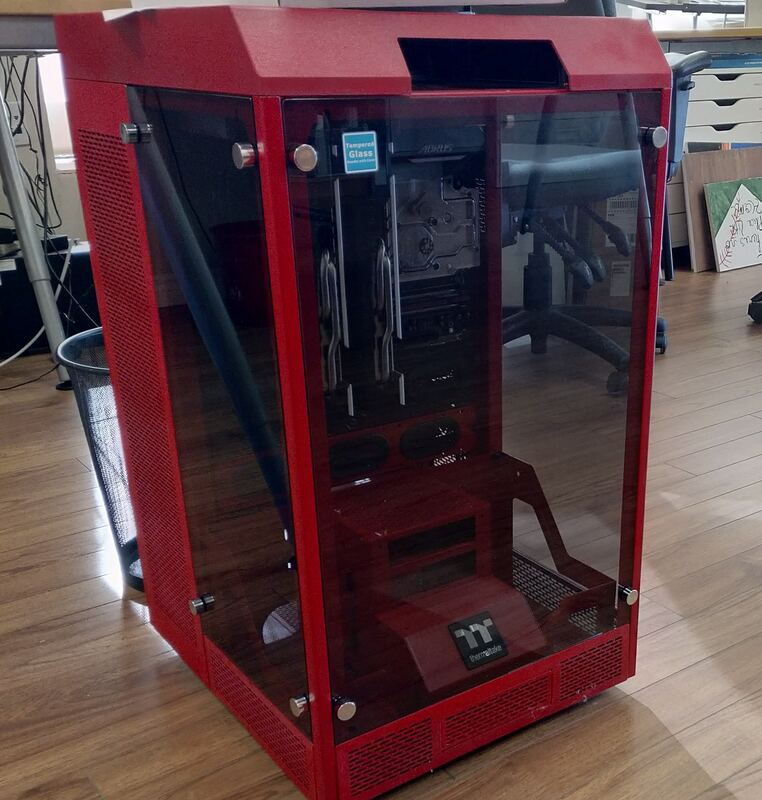 Build Plan: Planning on building / modifying a Tower 900 into an old style retro popcorn machine on a cart with a number of fun / exciting / pointless (but entertaining) modifications. 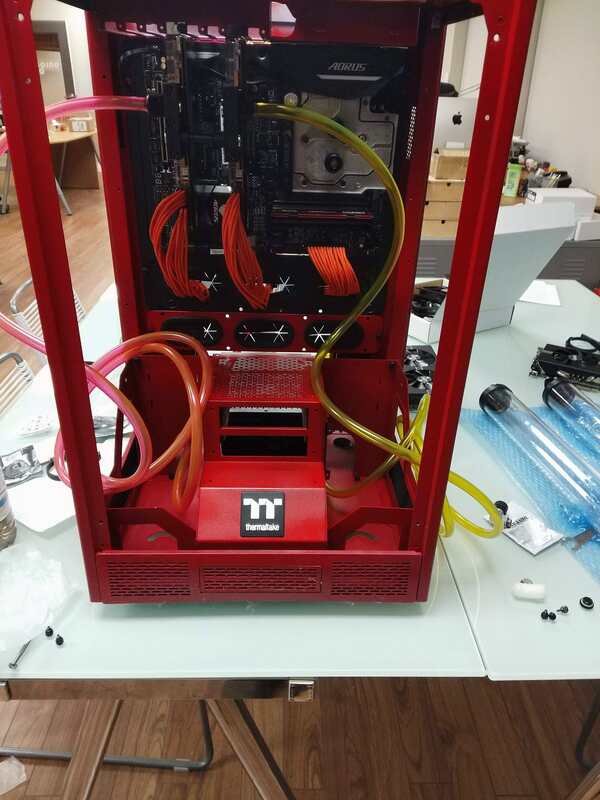 Planning on doing hard tube in the front compartment of the case with soft tube in the back. Last edited by Zjr8; 09-14-2018, 08:15 PM. Need a big screen to do a nice log. Last edited by Zjr8; 12-03-2018, 08:21 PM. Need to find some time in the next 3 hours to write up some proper words to go here.... not expecting to win anything but at least I can say I still *finished* the build to an extent..... Will probably still wind up building the cart and making things a little bit nicer as time allows. 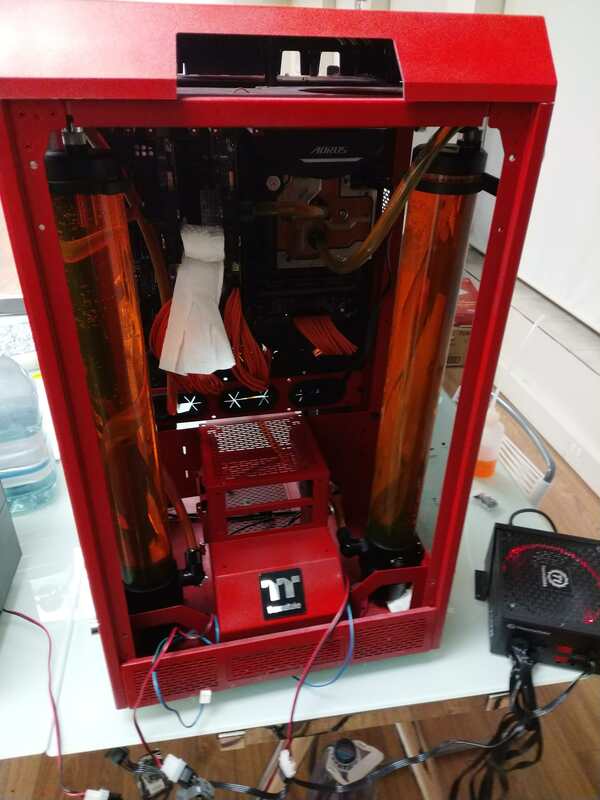 Had to drain the loop and refill it between previous photos and now to fix a loop mistake I made - had inlet and outlet reversed on the CPU block and killed my flow.... Honestly wish I had been able to put more time into the project as right now its rather sad and I almost feel embarrassed with it right now. Lots of really nice builds this year from people! I love how awesome this looks! Last edited by Zjr8; 12-05-2018, 03:34 AM.